Come to Charlotte Van & Storage for Charlotte moving services that go beyond the move itself. Unlike other Charlotte moving companies, we provide storage services that can be combined with your move or can be independent. We let you decide the duration of time you would like to have your items stored, and we can have the reliable Charlotte movers pick everything up from your home or business. Local: If you are an expanding business that needs to acquire the floors above and below your current office space, we can provide Charlotte local movers to assist in distributing your desks and office equipment to the other floors. 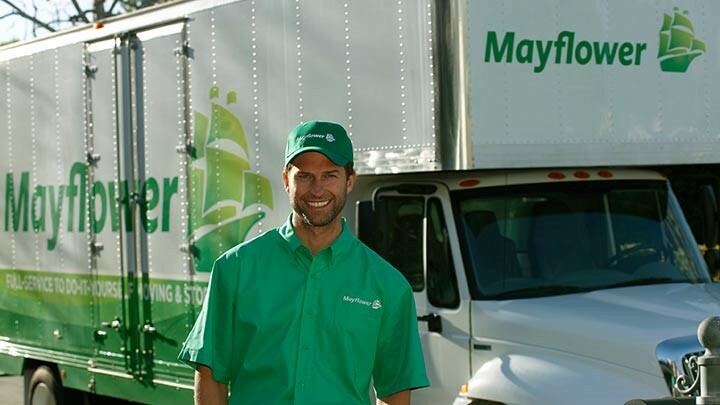 Long Distance: A long distance move can be anywhere in the world with our agent status with Mayflower Transit. We have hundreds of connections with agents worldwide. Residential: We can provide full-service packing of your entire house, apartment or condo. Commercial: Along with commercial moving we can also provide warehousing and distribution services for your company - large or small. We provide well-trained Charlotte movers to pack, transport and unload your entire residence or company anywhere in the world. Charlotte moving companies surround this city, but come to Charlotte Van & Storage for a dependable, service-oriented crew. Call our helpful phone representatives today or fill out our no-obligation, free online quote form.